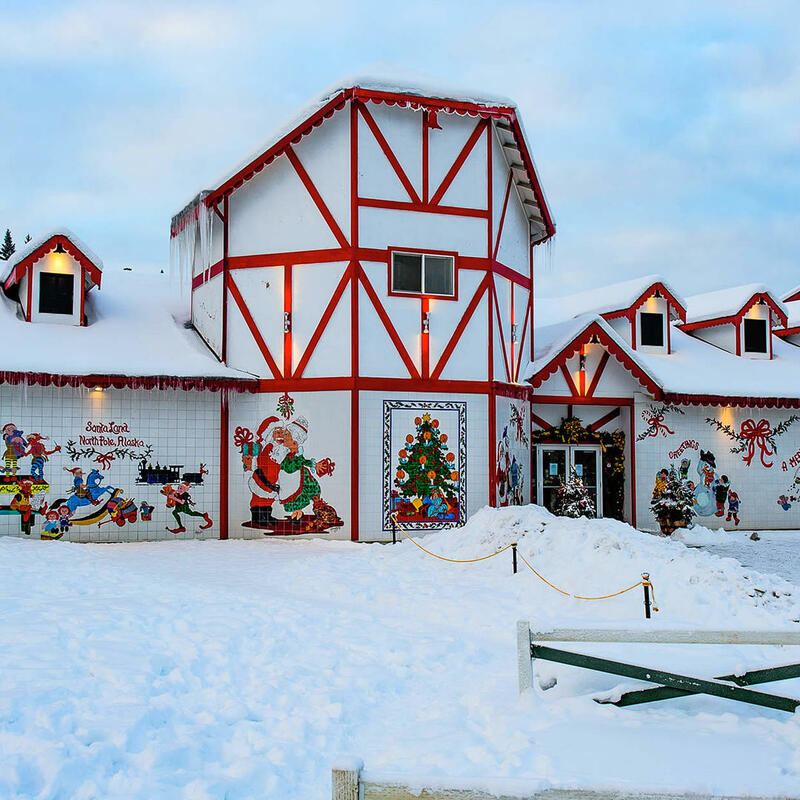 There are a few Santa Claus stations located within the perimeter of the Arctic Circle but the Alaska location doesn't disappoint! Year-round Christmas stuff, candy cane light poles, and Santa Claus himself will delight kids and adults. You can also send a personalized letter and book straight from the North Pole to a grandchild, kid, or other young person in your life - such a gift arriving at Christmastime will surely put a smile on a child's face!